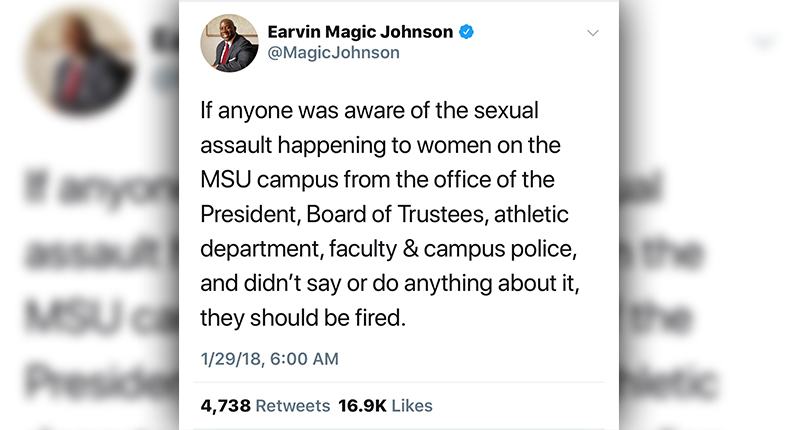 Basketball legend and multi-millionaire entrepreneur Magic Johnson has taken to Twitter to express his concerns regarding the possibility that if any staff at his Michigan State University alma mater ignored signs of sexual assault then they need to be fired. Johnson sent out a series of tweets Monday morning, in response to the Larry Nassar sentencing. Nassar, a former U.S.A. Olympic doctor has been convicted of sexual abusing more than 150 women over decades. 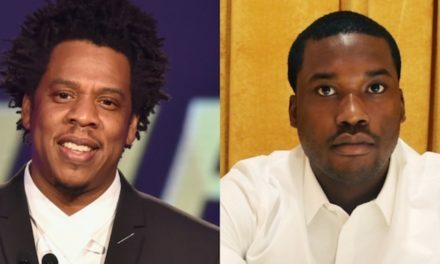 Michigan State has had alarming allegations over the mistreatment of female athletes over the years. In a series of messages that may have referenced Nassar verdict or a ESPN report that stated that “Michigan State secrets extend far beyond Larry Nasar case”, Johnson messages were clear and definitive in its stance and support of the female athletes that were assaulted. 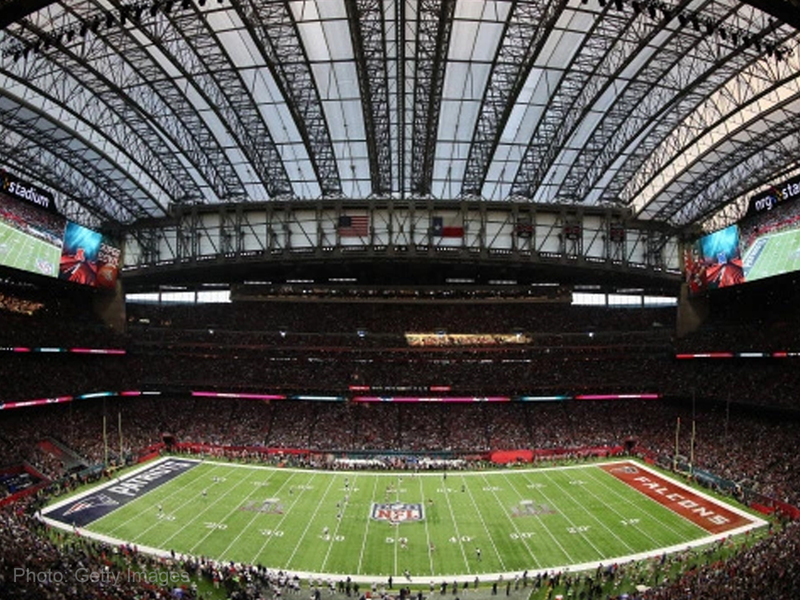 The former president of Michigan State Lou Anna Simon and athletic director Mark Hollis stepped down from their positions last week. 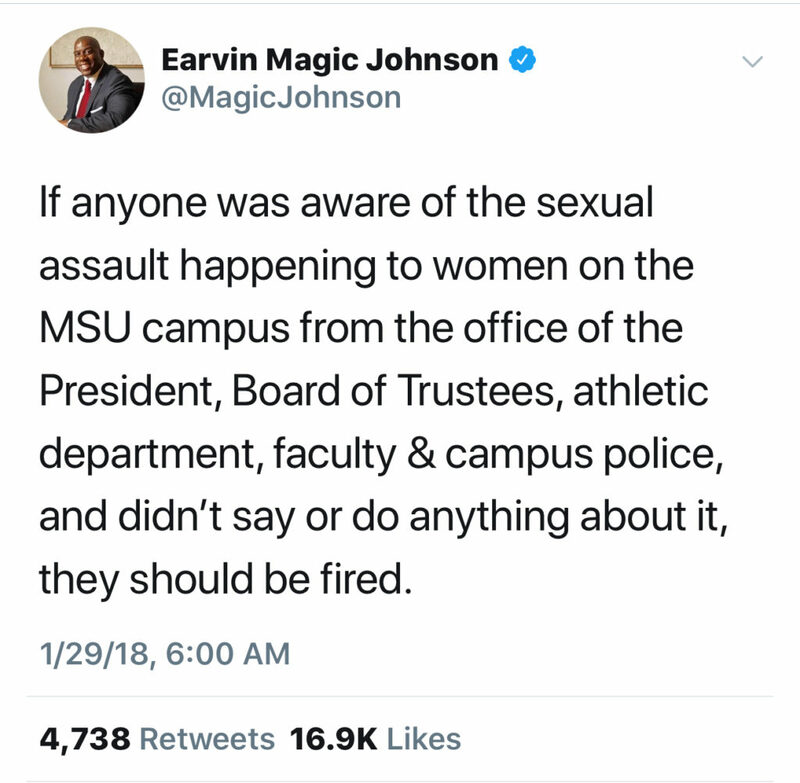 “If anyone was aware of the sexual assault happening to women on the MSU campus from the office of the President, Board of Trustees, athletic department, faculty & campus police, and didn’t say or do anything about it, they should be fired,” Johnson tweeted.